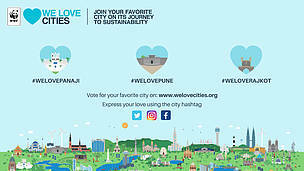 New Delhi: Panaji, Pune and Rajkot are the 2018 India entrants to WWF’s global ‘We Love Cities’ campaign, inviting citizens to vote for their ‘most loved city’, selected on the basis of their progressive actions and plans in creating climate - friendly places. 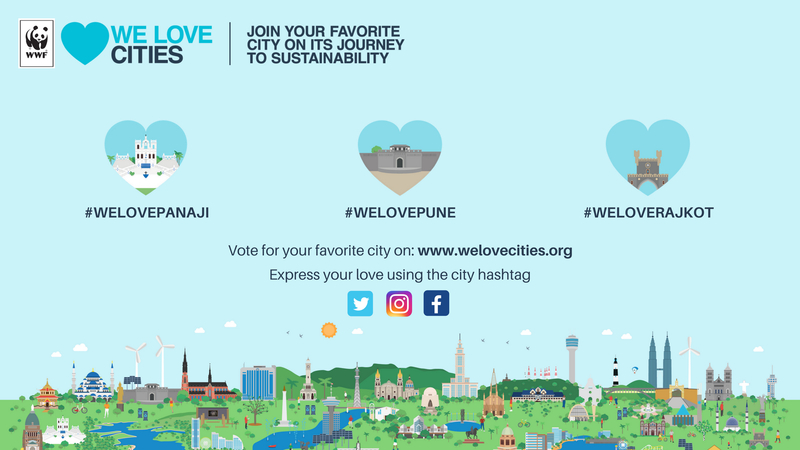 These three Indian cities are among 40 cities from 23 countries which made it to the final round of the campaign,aimed to celebrate the most ‘loveable’ sustainable cities. The campaign is WWF’s endeavour to allow citizens to decide their favourite cities and also provide the administration with suggestions on how their cities can adopt environment friendly and sustainable practices for long term benefits.